سواءً كنت مسافراً بغرض السياحة أو العمل, شقق بونامو هو خيار عظيم للإقامة خلال زيارتك كوينز تاون. يمكن من هنا للضيوف الاستمتاع بسهولة الوصول إلى كل ما تقدمه هذه المدينة النابضة بالحياة. يضفي محيط الفندق اللطيف وقربه من The Ivy Box, حلبة تزلج كوينزتاون, رحلات سفاري نهر دارت سحراً خاصاً على هذا الفندق. إن الخدمات الممتازة وحسن الضيافة العالي في شقق بونامو تجعل إقامتك تجربة لا تنسى. تتضمن الميزات الرئيسية في هذا الفندق: واي فاي مجاني في جميع الغرف, تسجيل وصول/خروج سريع, تخزين الأمتعة, واي فاي في المناطق العامة, صف السيارات. تعكس غرف الفندق البالغ عددها 62 المنتشرة في 2 طوابق جواً من الدفء والألفة.خدمات عصرية مثل تلفزيون بشاشة مسطحة, اتصال لاسلكي بالإنترنت, اتصال لاسلكي بشبكة الإنترنت (مجاني), غرف لغير المدخنين, مكيف هواء موجودة في بعض الغرف المختارة. إن حوض استحمام ساخن, مركز للياقة البدنية, مسار جولف - ضمن 3 كم, حديقة هو المكان الأمثل في الفندق للاسترخاء وتفريغ طاقتك بعد نهار طويل. يحظى فندق شقق بونامو بموقع ممتاز وخدمات يصعب منافستها. العمر الأدنى المطلوب عند تسجيل الدخول هو 20 عام. رسوم إضافية على البطاقة الإئتمانية بقيمة 300NZD مطلوبة عند تسجيل الدخول كمبلغ تأمين للأجور أو الأضرار خلال الإقامة و سيتم إسترجاعها عند المغادرة. سرير الطفل متوافر بدون رسوم إضافية. تتوفَّر المقاعد المرتفعة بدون رسوم إضافية. تتوافر خدمة تسجيل الوصول على مدار 24 ساعة. يُرجى إطلاع العقار على الموعد التقريبي لوصولك في خانة "طلبات خاصة" عند الحجز. We stayed in a studio apartment which was cozy. Larger apartments had lakefront views which we envied because the views were fabulous! We did not have a car and walked the kilometre to town ,which in good weather was quite pleasant, but might not suit everyone. The facilities were very nice and we would stay here again, but get a room with a view. I would 100% recommend this accommodation! We stayed 6 nights and were upgraded to a suite with a balcony, which we were so grateful for. 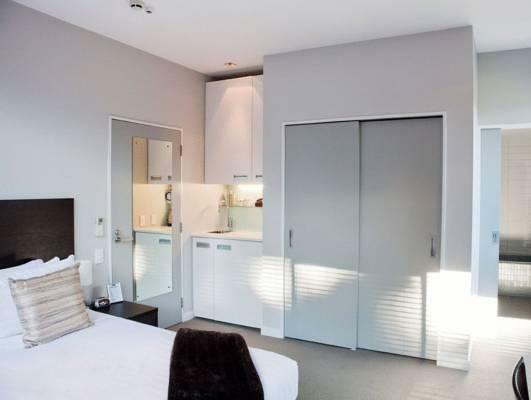 The suite was so clean, with everything we needed, including a fully equipped kitchen etc. And the view is absolutely amazing!!! The staff were very friendly and very helpful. You can also ask reception for a gym pass in town, the gym was awesome with a large variety of equipment and very friendly staff. It was a 10 min walk into town, however it is a pleasant walk. The breakfast basket is very basic and I think you would be better off buying food from the supermarket and cooking it in the kitchen. There is an allocated car park for every room, which is extremely convenient. 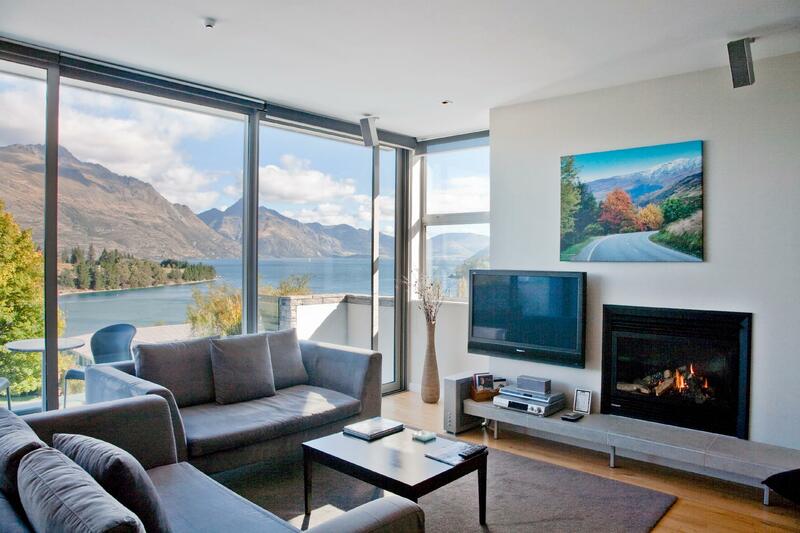 We will definitely be staying there again if we return to Queenstown in the future. Really Spacious room with a separated living space, offering awesome views of the Lake. Location is pretty close by to where most activities are....was able to walk there in about 15 mins, or a 5 minute drive. Nice base to set up when in Queenstown. Had a pleasant experience! Love this place. The view is worth the price!! Management was also very gracious to allow correction to shortened stay when I over booked, being new to NZ self drive travel. Maria supported promptly to ensure Agoda refunds promptly too! Great experience and will definitely choose Pounamu when I return. The location is lovely facing the lake, the beautiful part. The staffs are friendly exceeding our expectation. 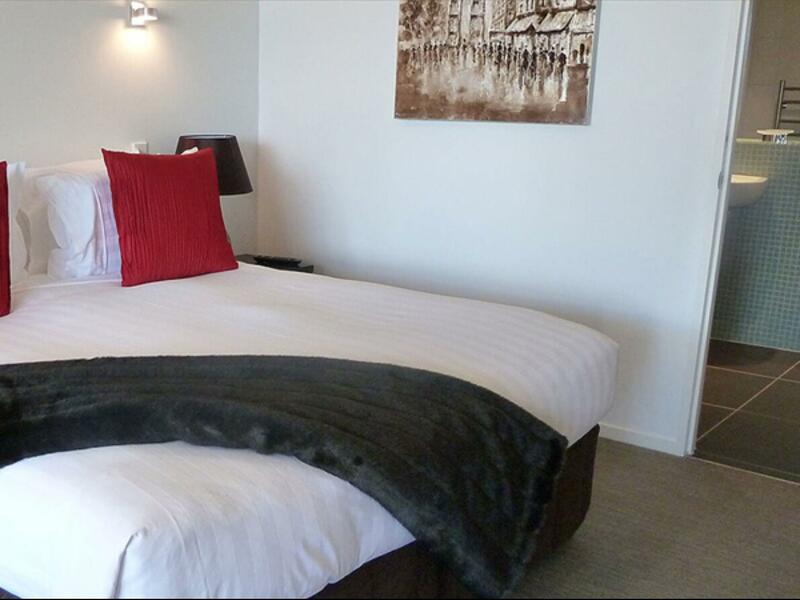 The rooms are nice with morning bread, milk coffee and team selection as well as free using of the washing machine. Wonderful experience for family travelling. Everything in these apartments was fantastic, we were very happy with stay! Unfortunately spa was broken/not open - that was the only downside. The views, cleanliness and everything else was AMAZING! Loved the little extras, ie. fresh bottle of water each time housekeeping came in. There was basic amenities provided, but no cooking except for microwave. Location-wise it was walking proximity to the town center. We loved our stay here with our 4 year old daughter. We had the two bedroom super suite with lake view and it was very family friendly. The view was amazing and the facilities was very good with two separate bathrooms, computer printer and study area even though we didn’t need it, we will keep in mind for the future if we travel for business as well. The morning breakfast was great and we enjoyed the different variety daily. We will definitely stay there again. great room looking out to the snow capped mountains. Very clean and modern, 15min walk into town. The only problem we had was the lack of sound proofing. You could hear everything from next door which was really annoying. Stunning views of Lake Wakatipu. Cosy, warm room, comfy bed and very nice bathroom!!! Fantastic fireplace with full kitchenware. Only downside is the stairs from the carpark to the apartment as there was no lift and we had to carry up the luggage. 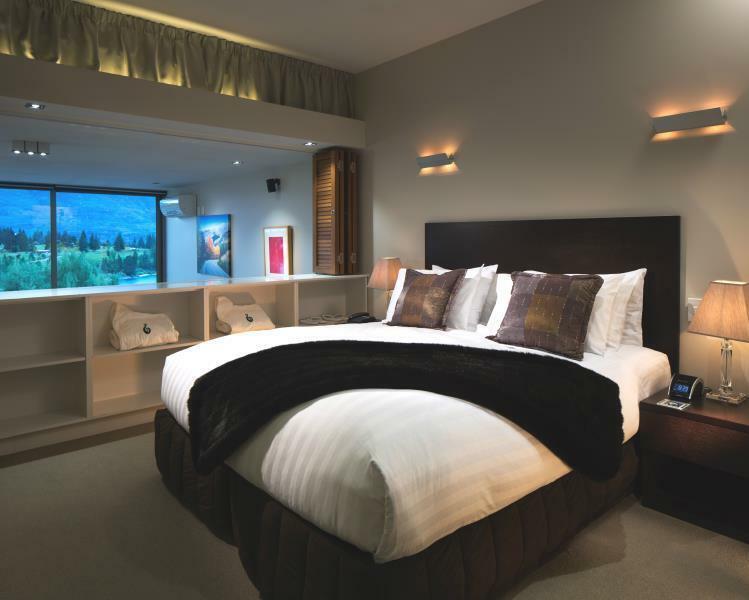 I truly enjoyed my stay at Pounamu and will definitely go back the next time I visit Queenstown. Very friendly and approachable staff who are always wearing a smile on their faces. Great facilities such as laundry services and some simple kitchen utensils. 15-20 minutes walk to Town area where you can find a lot of good eateries and do your groceries shopping. Highly recommended this place!! My first time to Queenstown and I check-in quite late upon my arrival (due to flight delayed). Reception was closed but I did find the key effortlessly :) And what’s best is the hotel assigned me to a room which is right above reception so that I don’t need to carry the luggage in the dark! Cosy, warm room, comfy bed and very nice bathroom!!! Good layout with huge window. Was told that there are USB and charger nearby the table but found none. Anyways reception swiftly find me a charger the next day. Everything was good and I especially love walking around the apartment and along the road / by the lake. Do recommend this place to anyone going to Queenstown. Clean & well-decorated room. If driving, nice choice near Queenstown. Fabulous location and airy apartment with a majestic view. Loved the layout and décor, but a few things needed maintenance wise, lamps not working, faulty cooker, no aircon in master bedroom. Staff responded to requests however maintenance was not resolved. We still overall had a marvelous stay, just would expect functional equipment, stove and lights to be fixed for a 5 star apartment.